Copper Bathtubs are widely loved luxury products mainly because of metal’s health benefits and long life, however if you have seen one of these bathing luxuries at one of your friend’s house and were really inspired by the beauty of it to the extent that you are now considering buying one for yourself, then it is perfectly apt for you to do some research as to what are the different types of copper bathtubs available in the market, so that you can make an informed decision as to which one is the best for you. In this blog post we are going to get you acquainted with the different types of copper bathtubs available at Coppersmith Creations and how is one different from the other. 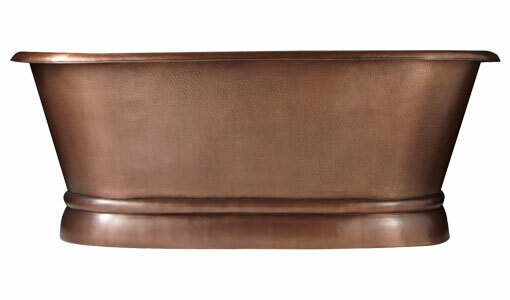 Clawfoot Copper Bathtub: The clawfoot tub or claw-foot tub was considered a luxury item in the late 19th century, originally made from cast iron and lined with porcelain. Clawfoot tubs usually require more water than a standard bathtub, because generally, they are larger. While true antique clawfoot tubs are still considered collectible items, new reproduction clawfoot tubs are chosen by remodelers and new home builders and much like the Western-style bathtubs, clawfoot tubs can also include a variety of shower head options. 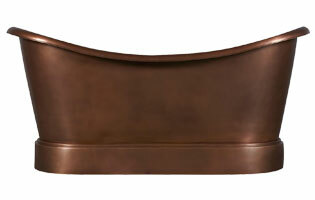 Slipper Copper Bathtub: where one end is raised and sloped creating a more comfortable lounging position. This type of tub has occupancy of one person & resting/lounging side is on the one side. 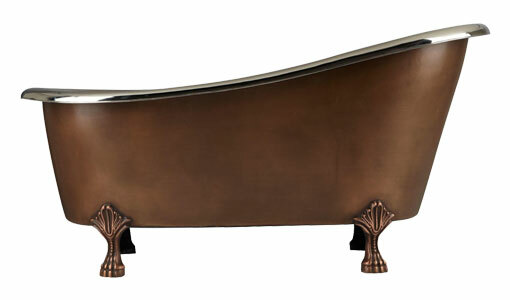 Double Slipper Copper Bathtub: where both ends are raised and sloped. These type of bathtubs can generally accommodate two persons and has a lounging side for both of them. 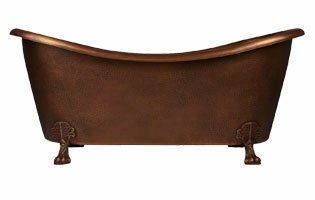 The best blog I have ever seen on Copper Bathtubs.